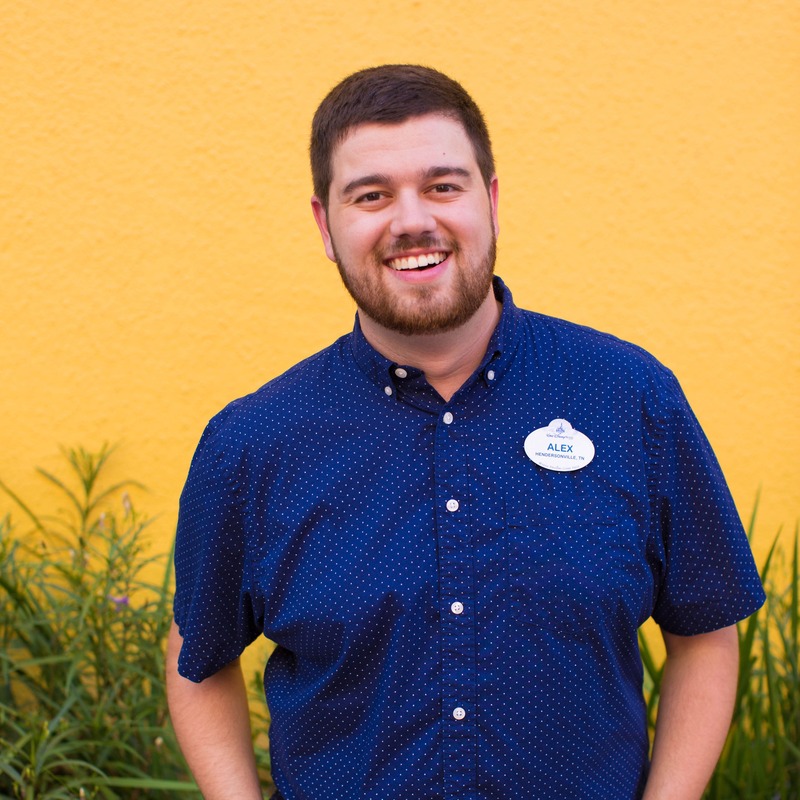 Preserving the magical guest experience is important to Disney’s Horticulture; 365 days a year we are committed to creating a great show. 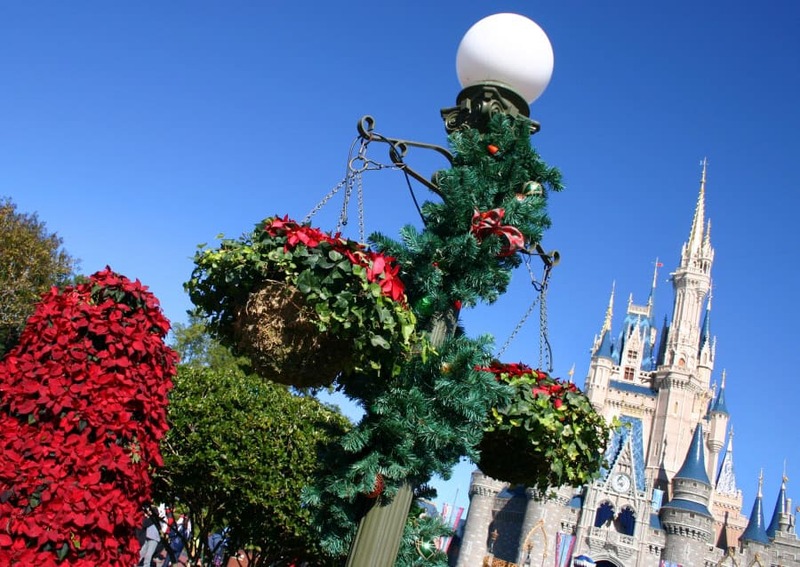 During the holidays it’s more important than ever to announce the season with colorful plants. Unlike the colder parts of the country, our Central Florida climate offers a wide variety of winter bedding plant choices, allowing us to add splashes of color to most of the Walt Disney World Resort. 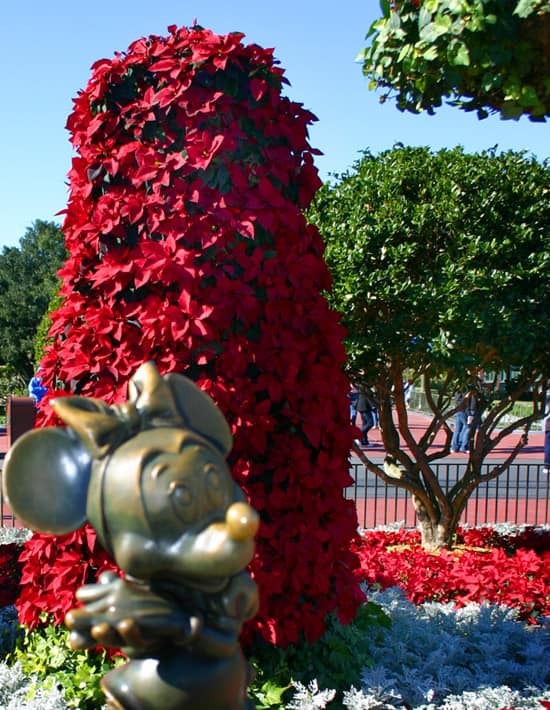 Did you know that the blooms of the poinsettia come from modified leaves, or bracts, instead of the flowers? Over the last 100 years extensive breeding has been done on the poinsettia plant, resulting in hundreds of new and different varieties. Newer varieties have pink, white or even mixed colored bracts. Look for a plant with plenty of green leaves down the bottom of the stem, this shows the plant is healthy. Pick a plant that has flower bracts and leaves that do not look wrinkled, withered, curled, or yellow; lack of color means the plant was sold too early. Observe the size and number of the colored bracts – each bloom should have six or more bracts. Select a full looking plant with multiple blooms – a poinsettia with a single flower looks bare. The true flowers – the green parts in the center of the bracts – should be tightly clustered into a bud. Plants showing yellow pollen and sap will have the least amount of display life and will not last long. Avoid a plant where these have dropped and all that is left are the colorful bracts. Each year our gardeners work quickly at the end of November to plant and display poinsettias in flower beds, hanging baskets, containers and flower towers. 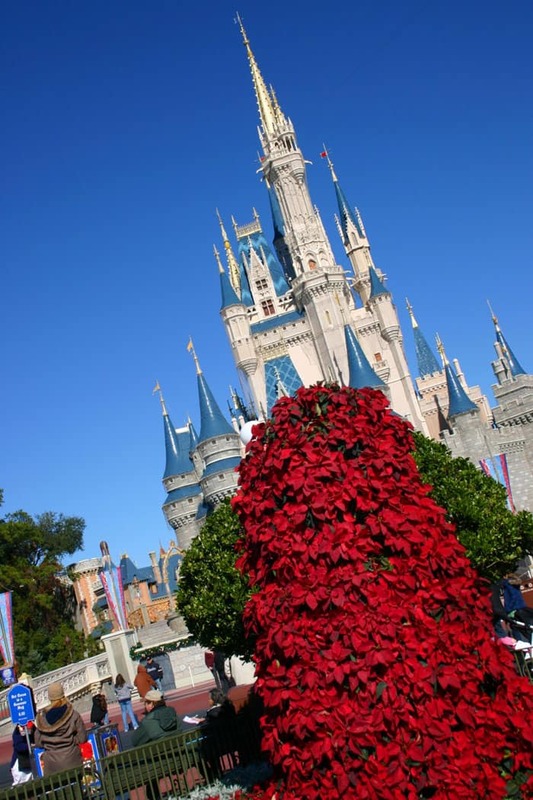 This year there are 100,000 poinsettias on display around the Walt Disney World Resort. Can’t wait to be there this Friday. 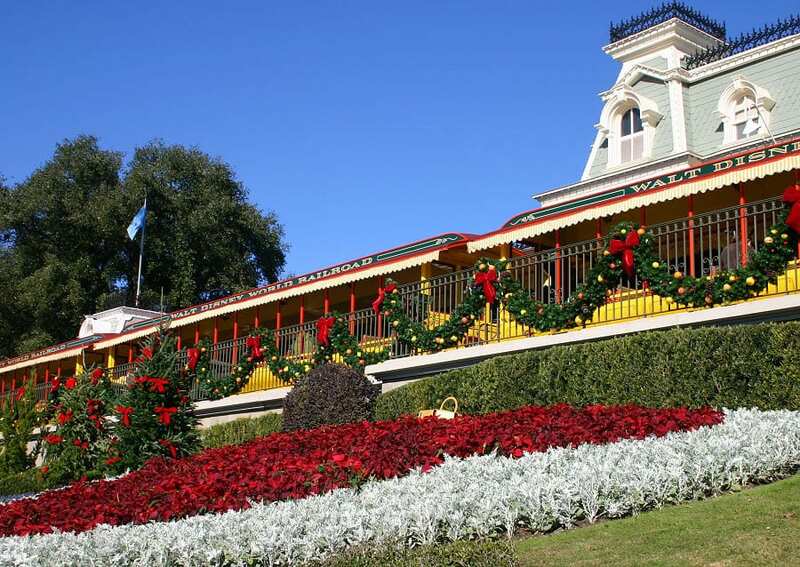 We travel to Disney every year and this year we will be spending a whole week at the Boardwald Inn from Dec 24 to Dec 30, 2010 during the Christmas festivities. We are really looking forward to it. the flowers at WDW are always so pretty, that was one of the things that was sad about being there in the freezing cold last week, so much of the floral life was covered up to protect it from the cold.